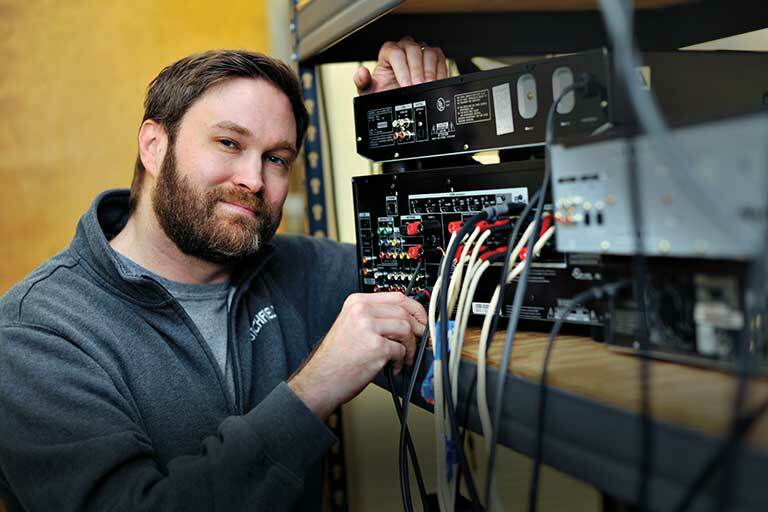 We're big fans of Cambridge Audio here at Crutchfield, so when they dropped by recently to demonstrate their newest gear, our training room was packed. Among the impressive demos we enjoyed was their Minx Min 22, an ultra-compact bookshelf speaker. Hooked to a Cambridge Audio integrated amp and paired with a Minx X301 powered sub, a pair of these little gems knocked us out with a wide, deep, and detailed sound that totally filled the room. Cambridge explained that one of the secrets to the Min 22's amazing sound was the latest evolution to their renowned flat-piston driver, the BMR, or Balanced Mode Radiator. 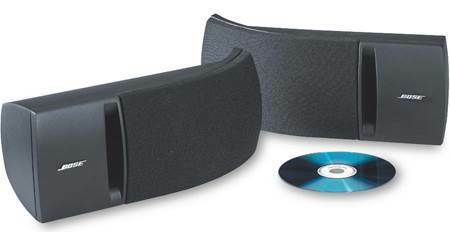 Note: We highly recommend using these satellites with a powered subwoofer for full-range sound. What's this driver's secret, a flat speaker surface that combines the traditional "pistonic" movement of speaker cones with a "bending-wave" movement to create sound. That's what allows the Min 22 to cover a much wider frequency range than other comparably sized speakers. You'll also experience much broader sound dispersion across your entire room. Plus, the compact, acoustically damped cabinet offers extreme rigidity for pure, clean sound no matter how intense your music or movies get. The Minx Min 22's latest 4th generation BMR driver features more rigid construction than previous designs for even better dispersion. 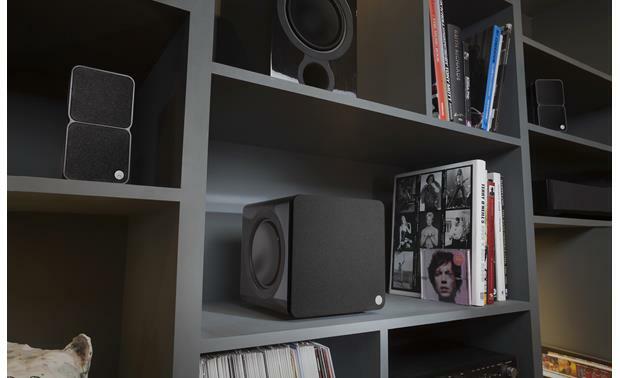 That extra-wide dispersion means you can put your speakers where you want and still enjoy deep, spacious stereo or surround sound throughout your entire room. 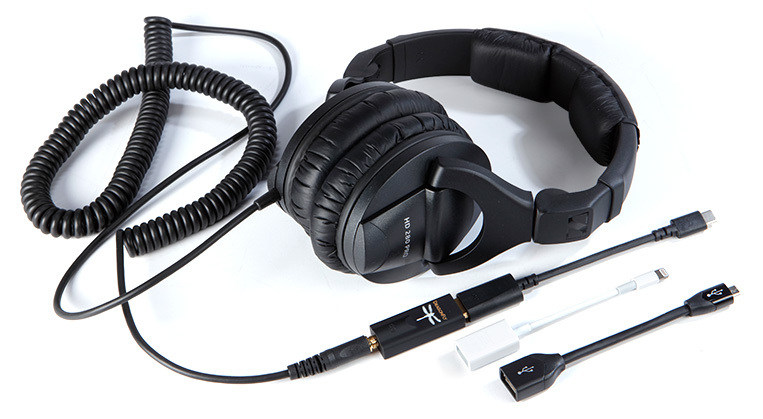 This makes Minx Min speakers ideal for room layouts where your speaker placement options are less than optimal. The new BMR driver also features a larger magnet structure for greater efficiency, and increased driver excursion for better integration with a subwoofer, and richer sound. Along with the new BMR, the Min 22 incorporates a custom, dedicated woofer for further improvement to the bass handling. Naturally, you want your speakers to fit into your home, rather than having to design your living space around your system. That's why the compact Minx Min 22 satellites include a keyhole slot wall mounting bracket. They can also be swivel-mounted to your wall, placed on stands, or positioned on a tabletop using optional hardware. You can mix and match between colors. Use the larger Minx Min 22 models in the front of your room with the even smaller Minx Min 12s in the back. Installed 4, the look is sleek and clean. The sound is sharp and crisp! Awesome for the size! Will get better when they get broke in- liken that! Do these speakers come with wall mounts? I use them as my front speakers for my Bose surround system and thus have them on pedestal stands. Sorry, I don't remember if they come with wall mounts but I think they do. 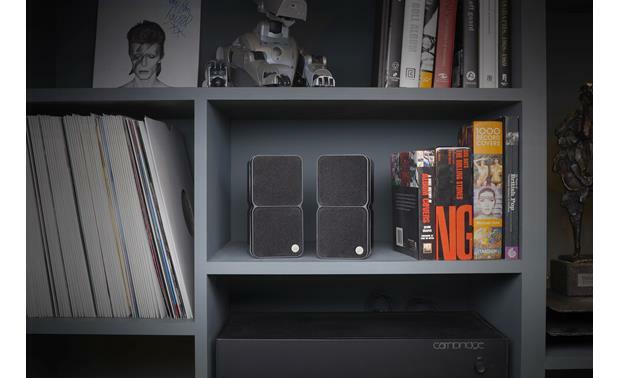 BMR (Balanced Mode Radiator) Technology: The Cambridge Audio Minx MIN22 satellite speaker features two 2.25" BMR (Balanced Mode Radiator) drivers. 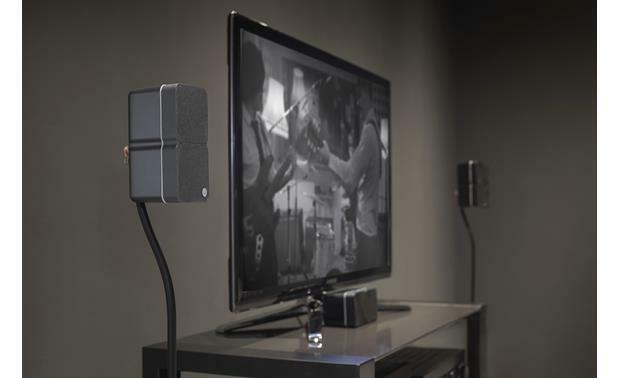 The Cambridge Audio BMR driver utilizes patented 'bending wave' principles normally seen in advanced flat-panel speakers, combined with piston-movement (backwards and forwards) like in a traditional speaker design. This type of design provides the Minx satellite speaker with a much wider frequency response and deeper and more powerful bass frequencies, plus incredibly spacious sound. 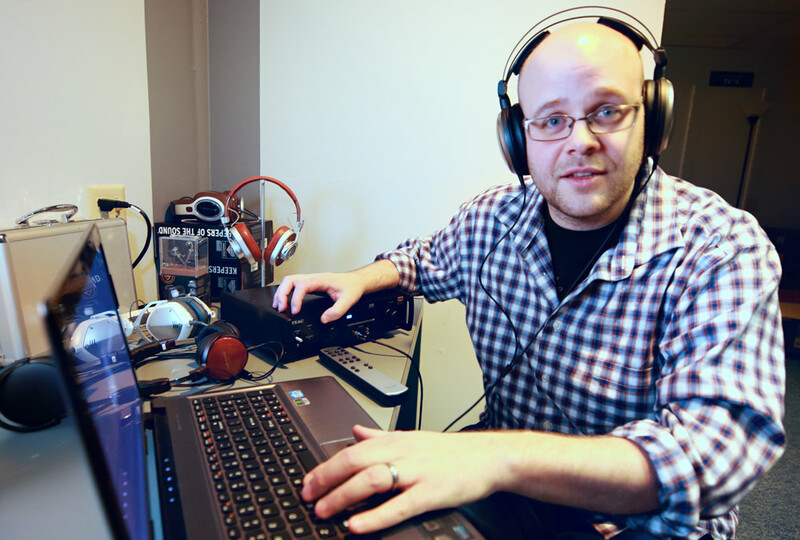 The BMR driver design also adds value by delivering a much broader sound dispersion across the entire room, avoiding the typical "sweet spot" pitfall, for a more enveloping sound. 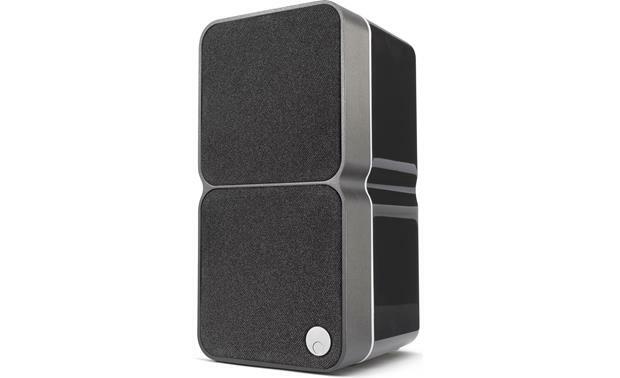 Acoustically Damped Cabinet: The MIN22 satellite speaker employs an acoustically damped thermo-polymer cabinet to prevent distortion caused by resonance and vibration. Its acoustic suspension (sealed) enclosure delivers greater detail and accuracy. 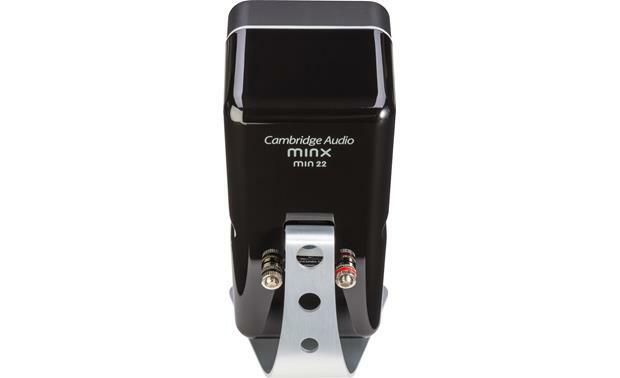 Binding Posts: The Cambridge Audio Minx MIN22 satellite speaker is equipped with a pair of binding post terminals. The binding post terminals will accept bare-wire (up to 12AWG), pin-connectors, and spade-connectors. The satellite speaker's binding post terminals can be removed to allow use of banana plugs (single only). The binding post terminals simply pull out of the back of the speaker, which allows access to banana connector inputs. 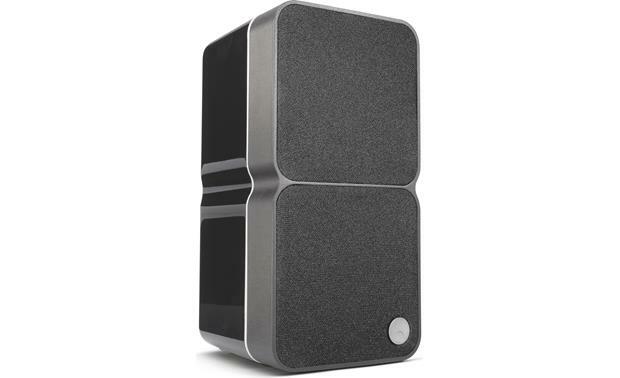 Mounting Options: The Cambridge Audio Minx MIN22 satellite speaker can be table-top mounted, wall mounted, or placed on a floor-standing speaker stand. 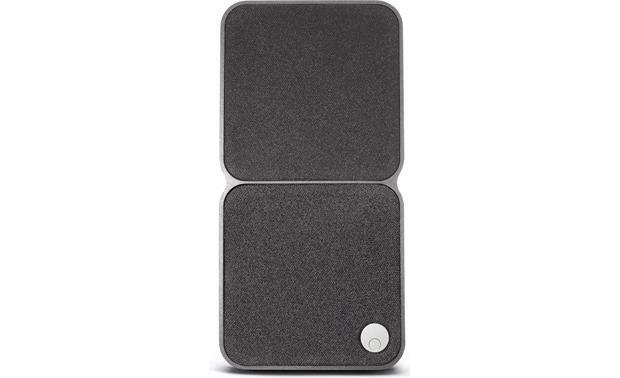 Table-Top Mount: The Minx MIN22 satellite speaker comes with four self-adhesive rubber feet to simply place the speaker securely on a table or shelf. There is also an optional Minx Table-Top Stand (779MTSA, sold separately) available, which allows placement on a desk, table, or shelf. Wall Mount: The MIN22 features a rear-mounted 6mm threaded insert which allows you to wall-mount the speaker using the included keyhole-slot adapter, the Cambridge Audio Minx Wall Bracket (779MPWM, sold separately), or other optional wall-mount bracket (sold separately). Speaker Stand: The 6mm threaded insert on the back of the satellite speaker can be used to attach the speaker to the Cambridge Audio Minx Floor Stands (779MFSB, sold separately). 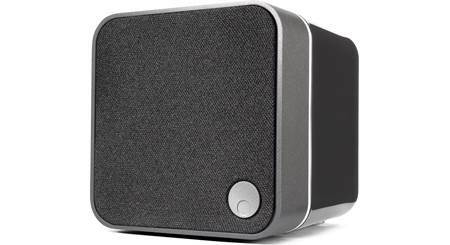 Anyone using this speaker in a 5.1 configuration? Meaning using 5 of these? I have 6 currently hooked up to my yamaha receiver. 3 front 3 back. 5 would be just fine to use also. Sound really good and exceptionally clear. Can this speaker be used as a center channel? I'm really not to sure. I'm using them as atoms speakers.I wish I could be more helpful. These do not come with the table stand, correct? What specification or features are different than the Minx Min 21? I could not find any. They come with a small stick on mount that you can use. But if you want a more substantial wall or selling mount you must purchase them separately. Crutchfield has them, however, the series of screws in the package does not fit the speaker. I had to go to Lowes and purchase a longer screw than included in the package. Nope - you need to buy them. The speakers are great tho - look terrific, small, great sound! No, but they are very easy to wall mount and are light enough that a very inexpensive 7.5 lb capacity wall mount kit will do it no problem. 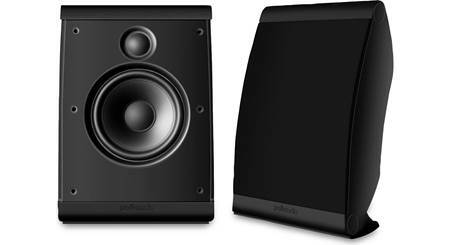 Which CA Subwoofer is better to pair with the Minx Min 22s: x201 or x301? My room is 12'x10'x8'. Can these satellite speakers work without the recommended sub-woofer(s)? I'd like to use them with my vintage Yamaha HTR-5280 and install four of them in my 25' x 25' Living Room (9' high ceiling). will I notice better results between my minx 10 if I upgrade to minx 22? 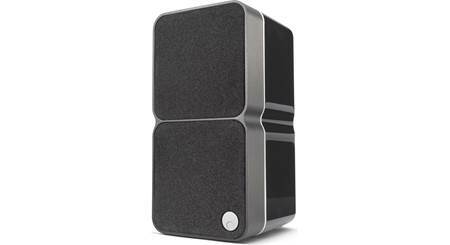 Searches related to the Cambridge Audio Minx Min 22 Ultra-compact satellite speaker.